THE LIST OF APPLES grown in New England that originated in Australia and New Zealand is short, with just two major varieties each from each country. But they are among the most well-known apples in the world. Three of the four are late-season apples, one of which, Granny Smith, is sparsely grown in New England due to its long growing season. 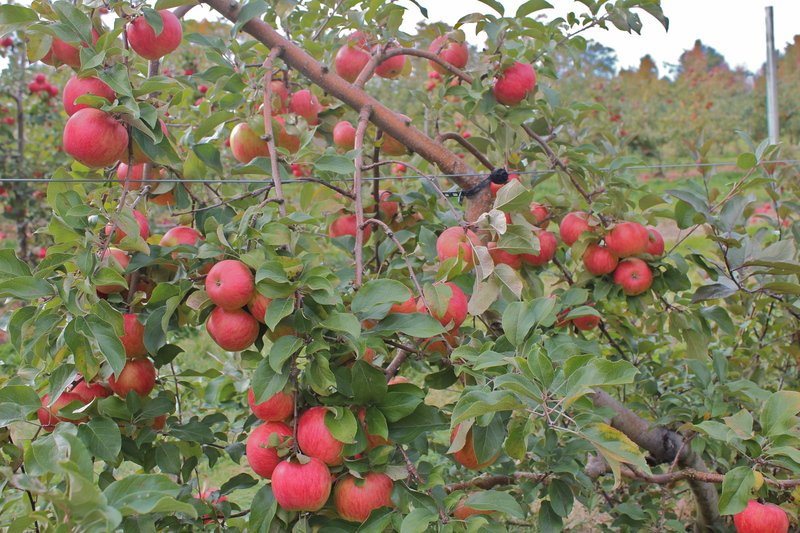 Find these and other mid- to late-season varieties at your favorite New England orchard. Visit New England Apples and choose “Find an Apple Orchard” to search by map, state, zip code, or variety. 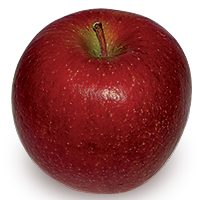 Braeburn is a slightly conical, late-season apple, crimson red overlaid on thin, yellow skin. Its yellow flesh is dense, aromatic, and juicy, and it flavor is nicely balanced between sweet and tart, with hints of citrus. Braeburn is good for both fresh eating and cooking, and it has three to four times as much Vitamin C as the average apple. It keeps well in storage. Though it was widely planted through the 1990s, its popularity appears to have peaked. Braeburn was discovered on the farm of O. Moran in Nelson, New Zealand, in 1952 and named for the apple’s first commercial distributor, Braeburn Orchard. It is probably a seedling of Lady Hamilton; by some accounts, it is a cross of Lady Hamilton with Granny Smith. 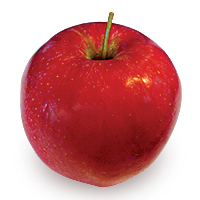 Gala is a medium-to-large, conical, mid-season apple, red-orange in color with yellow highlights. Its cream-colored flesh is crisp and juicy. It is a sweet apple with hints of pear, and it is outstanding for all uses, especially for fresh eating. It tends to have yellowish color early in the season and becomes a darker red-orange as the harvest progresses and in storage. Gala was discovered in New Zealand in 1934, and introduced in the United States in the 1980s. It has since become one of the most widely grown apples in the world. Its complex parentage includes Cox’s Orange Pippin, Kidd’s Orange Red, Red Delicious, and Golden Delicious. Royal Gala, a sport variety of Gala resulting from a mutant limb discovered at the New Zealand orchard of W. M. McKenzie, has deeper color than its parent. Granny Smith has been the most popular green apple in the world since its arrival in the United States in the 1970s. 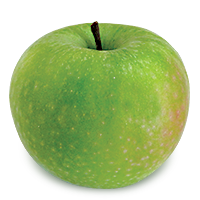 Medium-sized, round, and slightly oblate, it has solid green color with an occasional pink blush (New England-grown Granny Smith apples are especially apt to have a pink or sometimes red blush). Its white flesh is crisp and juicy, and its flavor is tart with hints of citrus. It is good for both fresh eating and cooking, and it stores well. Maria Ann Smith, who emigrated from England to Australia, discovered the first Granny Smith seedling in the 1860s in a marsh on her property in Sydney. Its parentage is unknown, but it may be from the seed of a French Crab. It was first exported to England in the 1930s. Granny Smith has reached its commercial peak but remains popular around the world. Only a few New England orchards have had success with Grannies, but as the climate warms, that number may increase. Pink Lady, also known as Cripps Pink, has a lot going for it: distinctive color, intense flavor, a beautiful shape, and a glamorous, campy name evoking the grenadine-laced cocktail of the same name, stirred by Della Street, perhaps, in a 1960s Perry Mason mystery. 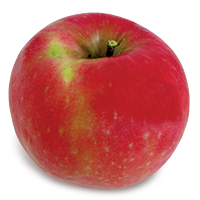 Pink Lady is large, conical, late-season apple with a deep pink blush over green skin. Its cream-colored flesh is dense, and its flavor, more tart than sweet, is citrusy. It is good for both fresh eating and cooking. It holds its shape when cooked, and it stores well. Originally named Cripps Pink, Pink Lady in 1989 became the first variety to be sold and marketed under a trademarked name. It was developed in the 1970s by John Cripps at the Department of Agriculture and Food in Western Australia. Lady Williams, an Australian apple from the 1930s, gives Pink Lady its characteristic shade. Its other parent, Golden Delicious, supplies its conical shape. If the apple has too much of the green base coloring, Pink Lady reverts to Cripps Pink — the apple must be two-thirds pink to qualify for the premium name. To heighten pink color, some growers remove leaves from the tops of the trees to admit more light, or place reflective strips on the ground beneath the rows of trees to increase sunlight to fruit on lower branches. 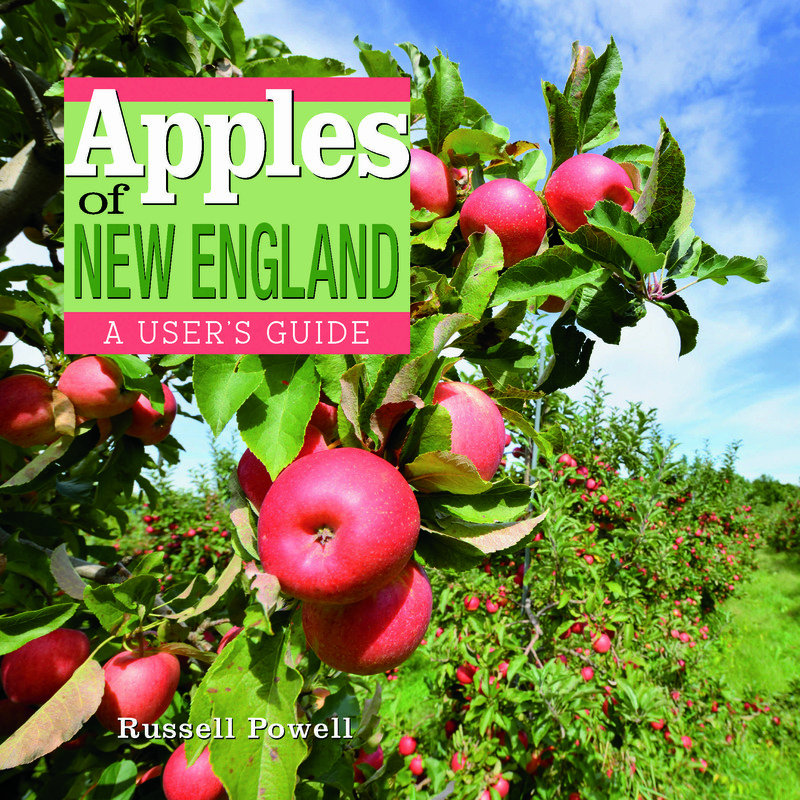 AUTHOR RUSSELL STEVEN POWELL, senior writer for the New England Apple Association, will talk about apples and read from his new book, Apples of New England, at four sites in the next five days. Photographer Bar Lois Weeks, executive director of the New England Apple Association, will appear with Powell on Friday, October 24, at Lyman’s Orchards in Middlefield, Connecticut, and will co-present with Powell at the White Memorial Conservation Center in Litchfield, Connecticut on Saturday, October 25.